Food & Packaging - Caliber United Inc. Caliber United Inc. offers a range of equipment that is designed to fill flowable products (both food and non-food) into bags for bag-in-box packaging. 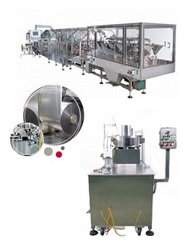 CUI can supply machines found in packaging operations around the world.